One of the most glaring results from the M-STEP was in 3rd grade math and reading. The number of students that passed dropped to less than 50 percent. They aren't saying any words but playing a game like charades. "Some of them are words or some of the are pictures," said Kenna Roberts. She actively works with her grand kids to make sure they're on track with their learning. That's why she brought them to Impressive 5 in Lansing. "The more [they] learn words and stuff the more [they'll] be able to process what things mean and how to do things," Roberts said. She makes sure they can process everything they're learning but she knows most students aren't like them. "I've seen kids who don't have those skills and to get into a working world or to go to college they need to know those things," said Roberts.Skills like reading and math. According to the newest M-STEP results, more than half of Michigan's 3rd graders aren't meeting state requirements. 46% passed the English Language Arts portion this year down from 50% last year. That means 54% of 3rd graders are either partially proficient or not at all in Language Arts. The math portion also dropped by more than 3% to 45.2. 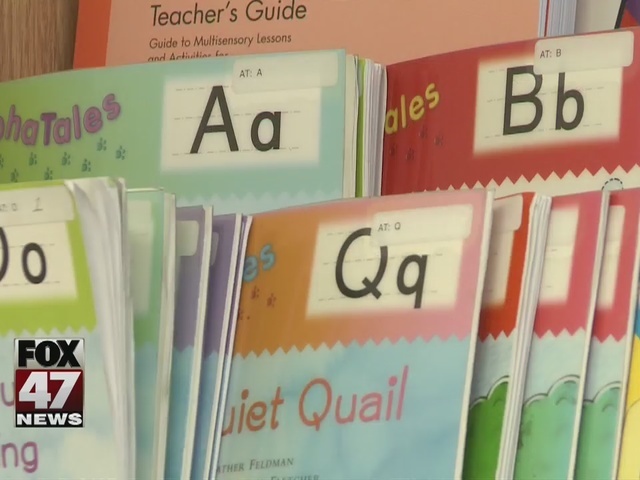 "We should be concerned and we need to find ways to change what we're doing in our classroom," said Tanya Wright, Assistant Professor in Education at Michigan State. Wright says by the the time 3rd graders are being tested and if they aren't meeting standards at that point it's too late. "We should be focused on is early intervention," Wright said. "Blaming third grade students for not being able to pass a third grade test as if, if they just worked a little harder that that will be the solution is not an effective way to think about instruction." Wright says instead of putting pressure on third graders to gradually teach kids when they are infants. Then learning becomes a constant in the home. "It's sad. I think it's very sad. I didn't realize it was that high," said Roberts. That's a lot of kids that are going to have a tough time when they get outside of school."